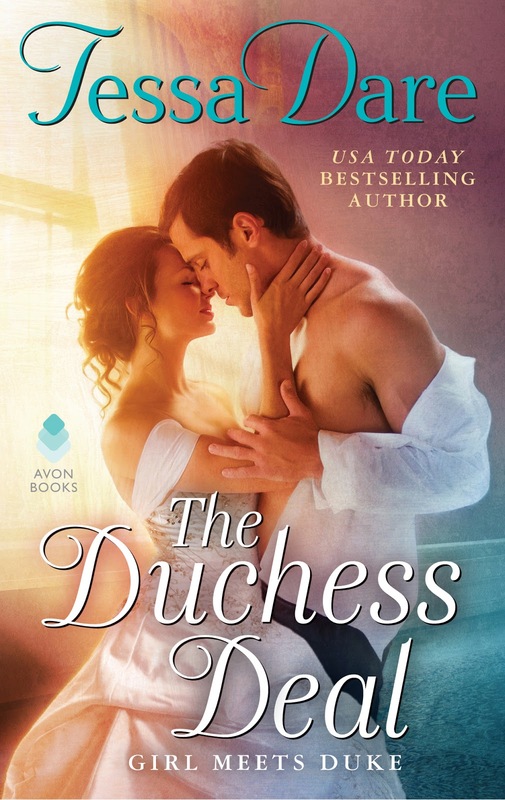 The magic of Tessa Dare’s writing strikes again with The Duchess Deal! Since his return from war, the Duke of Ashbury’s to-do list has been short and anything but sweet: brooding, glowering, menacing London ne’er-do-wells by night. Now there’s a new item on the list. He needs an heir-which means he needs a wife. When Emma Gladstone, a vicar’s daughter turned seamstress, appears in his library wearing a wedding gown, he decides on the spot that she’ll do. • They will be husband and wife by night only. • No lights, no kissing. • No questions about his battle scars. • Last, and most importantly… Once she’s pregnant with his heir, they need never share a bed again. • They will have dinner together every evening. • Last, and most importantly… Once she’s seen the man beneath the scars, he can’t stop her from falling in love…. What’s it About? The Duke of Ashbury has been a reclusive grouch ever since he was wounded in the war but now he needs an heir and for that he has to marry. He’s not particular at this point about who and when Emma Gladstone bursts into his library wearing a wedding gown she made for his former intended and demanding to be paid, Ash figures she’ll do. He convinces her to marry him in a short amount of time but he also sets down some rules for their marriage which include no kissing, no questions about his scars, and they’ll only be husband and wife at night in order to conceive his heir. After she’s pregnant he’ll send her away to raise their child. But Emma has some tricks up her sleeves. She wants to have dinner with him every evening, have conversations with him, teases him relentlessly, and stubbornly refuses to leave him alone to brood. She isn’t like other women and Ash soon has no choice but to give in to his determined wife. Overall reaction to the story? It’s been a while since I’ve been so thoroughly entertained by a romance like I was by The Duchess Deal. There is so much to love about the first book in the Girl Meets Duke series that I don’t know where to begin. The romance was terribly romantic but to me, it was the characters who really made this story sing! Ash and Emma were just part of the list of reasons to love this book, the other part had to do with the kooky supporting cast of characters. From Ash’s servants to the set of friends Emma makes after her marriage, all of them brought their own magic to the story. The Duchess Deal is definitely a romantic story but I wasn’t expecting it to have me snorting or laughing out loud with the cast of lively and lovable characters. Describe the hero in five words: Cheeky. Bitter. Unsure. Intelligent. Stubborn. Why? Ash’s actions were nothing more than a front to keep himself from getting hurt again so how could I not fall a little in love with him? He had a bruised heart and a hidden yearning to be loved so yeah, totally lovable. Even at his gruffest he was still a good man with a really sharp wit and sense of humor which again, totally my thing. He was totally stubborn too and needed people around him who weren’t going to be intimidated by his scars or by his sometimes rude behavior. Ash never pushed the boundaries to the point of no return though, he could be a bit of a brat to be honest but I never saw him as a jerk. Just someone who really, REALLY needed a hug at least three times a day. 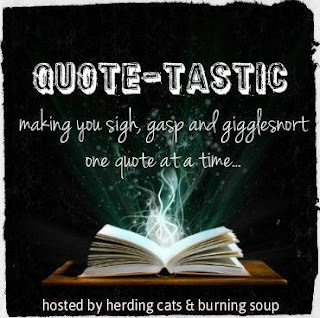 Describe the heroine in five words: Snarky. Persistent. Clever. Caring. Stubborn. Why? Emma made the perfect foil to Ash’s determination to remain aloof and alone. She was a loving, nurturing character who just happened to possess the same level of appreciation and talent for sarcastic bantering as Ash did. Emma stood her ground and didn’t let him intimidate her and she wasn’t above insisting on a few conditions in their marriage. Or in flat out ignoring his ridiculous conditions for their marriage. Early on I knew she was going to be fun and challenge Ash at every turn and she didn’t disappoint at all. Emma’s personality made the interactions between her and Ash better and gave their relationship a sense of equality even though Emma was essentially just a broodmare in the beginning. Emma was even forward enough to point out that she needed a name to cry out when they were getting intimate and if he didn’t pick one he wasn’t going to like the one she chose. Let’s talk about the romance: The Beauty and the Beast theme is always a favorite with me but Ash and Emma put their own stamp on the theme with their Sarcasm and sass filled verbal exchanges. As romantic as the The Duchess Deal was, Ash and Emma also built a relationship on fun and humor starting with the fact that Emma refused to call Ash by his title, instead she wanted a pet name for him and spent the whole book trying some of the most absurd pet names on him to which he had varying reactions to. In this particular scene Emma and Ash have only been married a short time and this is her second (I believe) attempt to come up with an endearment to call Ash. She has just interrupted an indoor badminton game between Ash and his cheeky butler who quickly abandons the game and Emma picks it up in his place. He sent a serve back toward her. Emma noticed a hitch in his swing. He winced ever so slightly. Perhaps the reason behind the thrice-weekly sport was not mere boredom, but restoring the use of an injured arm. If so, his wounds must extend beyond his visible scars. How about that supporting cast? Yet another place where The Duchess Deal wins is with its motley crew of nutty supporting characters. Ash’s servants who are delightfully improper and so hopeful that Emma will heal Ash’s wounded soul and bring the house back to life that they conspire to throw these two together at every moment, and Emma’s group of new girlfriends who are in themselves unique. There’s a Alexandra who earns a living setting clocks to Greenwich time, Penelope who takes in wounded animals and is a vegetarian, and Nicola who is described as a mad scientist but really she just bakes the best goodies. Those three are just as entertaining and mischievous as Emma and I can’t wait to see more of them. Click It or Skip It? Click It. The Duchess Deal is one of the reading highlights of my year! There's so much love, laughter, and friendship in it that it will be hard book to beat.